Exporter of a wide range of products which include adjustable props, access stage bracket, industrial scaffolding, pier and deck slab shuttering, scaffolding cuplock and spans decking beams. With our expertise in the respective field, we are offering our clients a wide range of Adjustable Props that conforms to IS 1239/1161 YST 210 standards. Developed using quality tested basic material, we ensure that the products we offer are durable and have infinite adjustment capacity which gives it a reliable strength and safety. 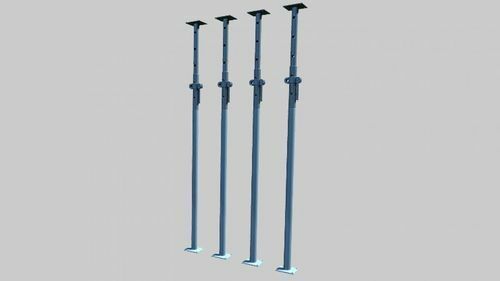 An Access Stage Bracket is a cantilever transom which is similar to the stage scaffolding brackets with inbuilt guard rail standard to take a ledger. 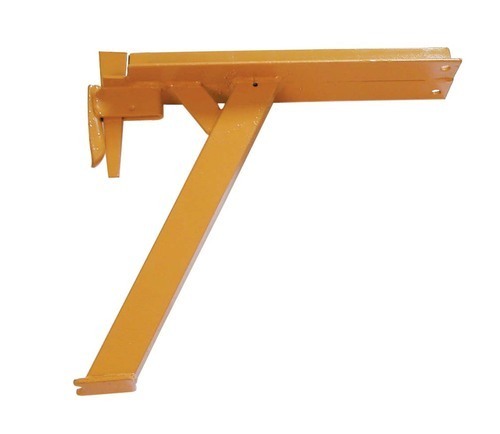 Scaffolding brackets find use where a platform is needed on the outside of the scaffold with timber or steel battens. The access stage bracket allows building a platform 0.686 m wide and is available in both back to back angles and rolled section. 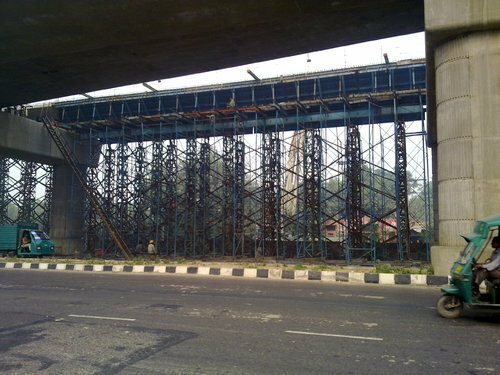 We are engaged in offering Industrial Scaffolding, which is a temporary structure used to support people and material at the construction site. 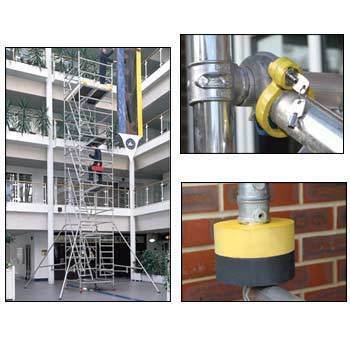 Our scaffolding fittings and products include Cuplock, H-frame and Kwick stage, which is manufactured in strict compliance with the set industry standards. Thus, our products are known for its high durability and strength. We offer our clients Pier and Deck Slab Shuttering that is a cold rolled formed sections used as a permanent shuttering framework or as part of RCC composite roof slab. These Pier & Deck slab shuttering results very economical to support finished roofing material or serve as a permanent form and/or positive re-enforcement for concrete floor slabs. Available in wide applications, these Pier & Deck slab shuttering at industries leading prices. 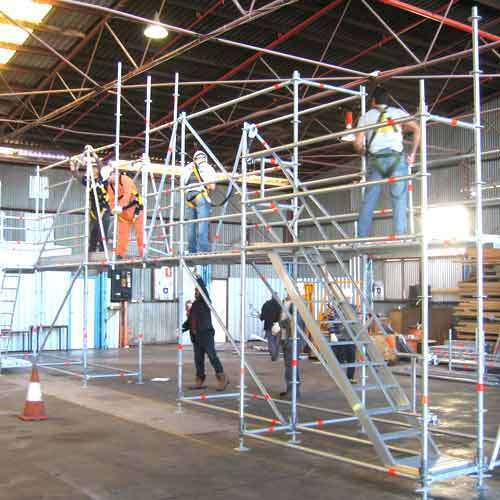 We are engaged in offering Scaffolding Cuplock, which is a temporary structure used to support people and material at the construction site. 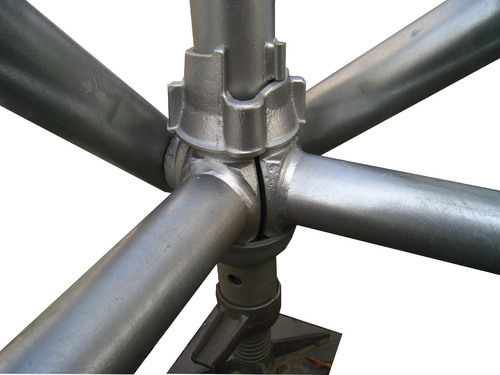 Our scaffolding fittings and products include Cuplock, H-frame and Kwick stage, which is manufactured in strict compliance with the set industry standards. Thus, our products are known for its high durability and strength. Capitalizing on our in-depth industry knowledge, we are involved in offering Spans or Decking Beams. These are fabricated using light weighted steel, which include 100mm wide top flange that eliminates the necessity for a plywood infill. This helps to cut down maintenance costs. 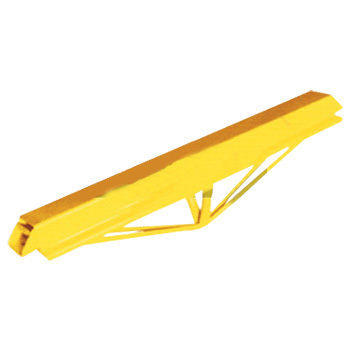 Various heavy duty pressings are fitted to the beam ends to provide adequate protection against any accidents. With the assistance of our professionals, we are involved in offering an extensive range of Stair Case Tower. These are aluminum modular access tower system provided with ladders for easy climb rung spacing. Our range of Tower, Stair Case Tower and Mobile Tower are available in various heights, widths, lengths and other specifications as per the specifications provided by our clients. The Steel Board or Plank is suitable for both Quickwedge and Cuplok. These boards/planks are formed using the galvanized steel sheet with a perforated tread to provide skid free surface. The perforated treads are engraved as close as to the edges of the planks to provide complete coverage on the assembled deck. Looking for “Industrial Scaffolding Couplers”?